The pharmaceutical industry faces unique challenges and opportunities in the digital world. The FDA has imposed regulatory guidelines that forbid a lot of digital marketing channels that other industries freely use. Pharma’s fears have made most companies late adopters of digital marketing techniques to expand their brand awareness. Herein lies unique opportunity, because your company can see a robust ROI with a good digital marketing strategy. With most of your competitors falling behind in this arena, your pharmaceutical company can distinguish itself with good digital marketing practices. 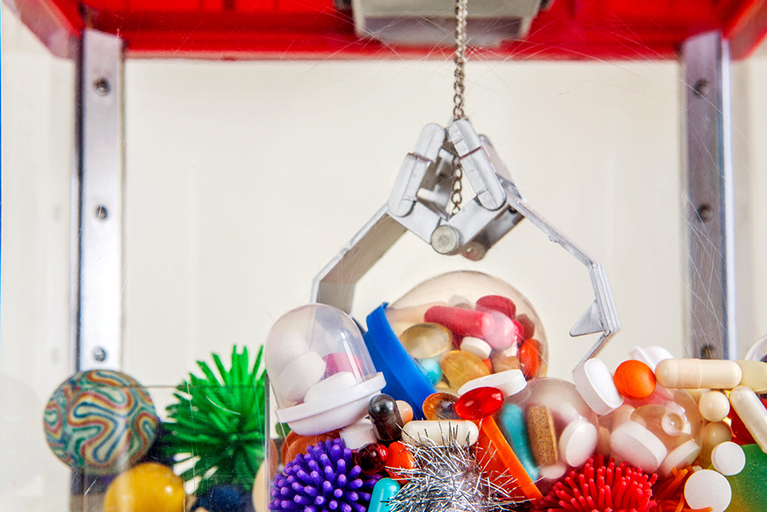 A survey found that unclear digital strategy is the biggest challenge facing pharma in 2014. Reflecting pharma’s late arrival to the world of digital marketing, many companies now find themselves playing catch-up. Your business needs to create a coherent strategy, but before any potential customers get to that, they’ll look at your website first. Branding your website successfully remains the most effective online marketing tactic, but there are additional steps your company must take to see a healthy ROI in your digital marketing efforts. Your digital marketing efforts should be making your website more attractive to prospective customers and search engines alike. Your website should have photos that tell your company’s story in a visually compelling way, but are you naming those photos something evocative that can be indexed by a search engine? Most pharma companies aren’t paying much attention to their photos, assigning them default names or failing to update them. By taking this simple step, you can remedy a common industry mistake and make your brand stand out. From photos to apps, content is the backbone of a good digital marketing strategy. Though the limits imposed by the FDA are partially a hindrance, in many ways the constraints call for unique solutions. Working within FDA guidelines, pharma companies whose digital marketing campaigns empower consumers found big results for their brands. Brands like NuvaRing and Lantis developed apps and creative contextual solutions that gave consumers greater control over their schedules. By coming up with content that put consumers in control, these companies grew brand awareness while staying safely away from regulatory gray-areas. You’ve probably seen a listicle in the popular genre of “inappropriate ads”: a picture of an advertisement that’s inadvertently funny due to its placement next to a wildly incongruous headline. It probably wasn’t funny to whoever paid to run that ad, and it’s definitely not a fun idea for an industry like pharma, where customer trust is of the utmost importance. Legitimate fears over brand safety can hobble a company’s digital marketing efforts, but there are ways to protect your brand online. Since there is a limited number of high-quality sites relevant to pharma online, research shows that there are too many ads competing for relatively few visitors, leading to a decrease in ad views. However, a study on pharmaceutical marketing by ContextWeb says that the web is safer for pharma than the industry’s conservative reputation would indicate. Pharma can benefit from a more adventurous digital marketing strategy, and a good digital agency will have the tools to monitor your ads after publishing, to ensure that they remain placed in an appropriate context. The FDA’s tight constraints on pharmaceutical marketing have left social media as something of an open playing field. Pharma lags behind other industries in using channels like Facebook and Twitter, lest a company run afoul of FDA regulations at some point. However, Johnson & Johnson was an early adopter of social media, and provides an example of how a company can do social media well. Johnson & Johnson’s Twitter feed offers general health and pharmaceutical news, and engages with the community. If customers tweet specific health questions, the account refers them to a qualified medical professional, thereby staying within Federal guidelines. 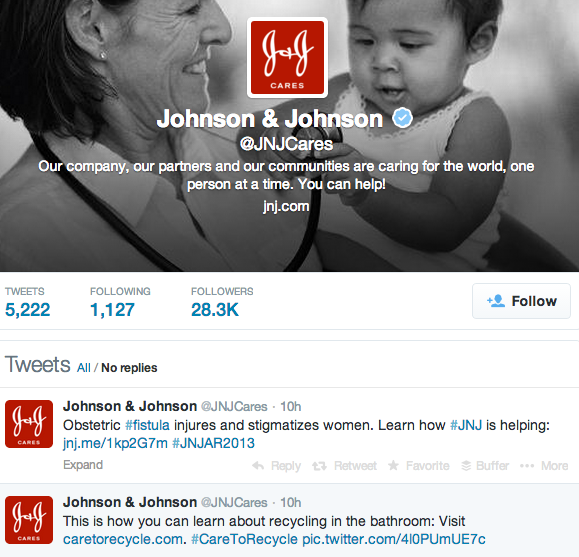 Johnson & Johnson is a pharma company taking advantage of social media to build brand awareness. Furthermore, the FDA is handing out piecemeal guidance on social media usage. By now, pharma companies have enough guideposts that they can be engaging with customers in a safe way—for instance, though the FDA is strict, it has let pharma off the hook for user-generated content. As the FDA makes social media regulations clearer, which it has pledged to do throughout 2014, pharma companies should be positioning themselves to take advantage of regulatory clarity. Forbes reports that only 10 of the top 50 pharma companies are utilizing Facebook, Twitter, and YouTube. Consequently, “social media [is] something of an equalizer in being able to reach out to patients.” While the FDA drafts further guidelines, most pharma companies sit on the sidelines. Yours should take advantage of this opportunity and embrace social media. The stringent regulations that pharma faces are real, but they have created an industry culture that fails to capitalize on the promise digital marketing has to offer. Whether you choose to optimize your website yourself or develop a comprehensive strategy with outside help, you can see a big return on your ROI by being one of the few pharma companies doing digital marketing right. You can read more about web redesign here on our Spinx blog, too. Have you seen a pharma company with a great web presence? Let us know in the comments below.